While playing and winning at keno ultimately comes down to random chance, there are some strategies that can slightly aid in boosting your odds and potential wins at this entertaining number game. 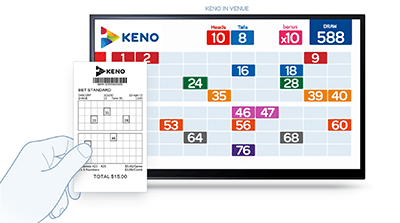 We explain the rules of the game and uncover some hot tips to help you win at keno. 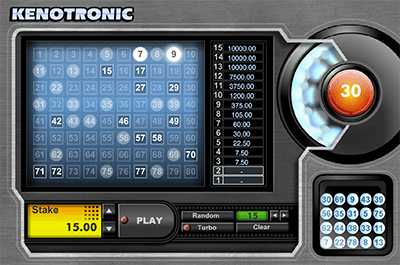 If you’ve never played keno before, you’ll be surprised by the simplicity of the game. A player begins by purchasing a ticket, and they can then decide how many spots to play for the next drawing. You can choose to go with a single spot, while more ambitious punters often go for the maximum of 20 keno spots. Once you’ve decided on the number of spots to play, you’ll need to mark that number of picks on the ticket (which has numbers ranging from one to 80). Afterwards, land-based players need to turn their ticket into a keno representative in order to receive a receipt. In Australia, keno retail outlets include pubs, TABs, RSLs, petrol stations, news agencies and convenience stores. If playing online, this is all done through your computer or mobile, with Raging Bull Casino being our top-rated casino site for keno players from United States. For more excellent online casinos offering real money keno games to players from your country, refer to our list of recommended keno sites in the table above. When the designated time comes, 20 balls are selected at random from a possible 80. These numbers are displayed, and players may now refer to their ticket to see how many matches they have. The more matches that are present on a ticket, the greater the winning amount. The next time you’re in the mood for keno, consider using one or more of these strategies. As keno is entirely luck-based, their overall impact on the game will be minimal, however, anything you can do to enhance your chances could result in a multi-million dollar win. These suggestions have the potential to work for both land-based and online punters. Numerical Repetition – Each time a drawing is held, a different set of random numbers is selected. If you’re the type of player who constantly changes your keno numbers, there’s the potential that you could be hurting your chances of finishing with enough matches for a payday. Instead, consider picking the same set of digits every time you play. The theory here is that they’re bound to hit at some point, and you’ll reap the rewards when they do. A lot of punters choose numbers they deem lucky that relate to birthdays and anniversaries because they’re easier to remember, but any string of digits has an equal chance of making you an instant winner. You may also want to consider the most commonly drawn keno numbers. Increasing Your Odds – If you play a single ticket, your odds of winning aren’t especially high. With each additional ticket, you buy, however, you’re slightly increasing your overall chances (assuming you play different numbers on each). Think of it like shooting at a target in the dark with a pistol versus a shotgun – you’d take the shotgun every time. The Advantages of Internet Keno – Online gambling websites are in fierce competition with one another, and they’re willing to do almost anything to gain your business. This includes offering generous payback percentages on games of keno, some as high as 92 percent. When you consider that most land-based locations only offer a payout of around 50 percent, the choice of where to play becomes obvious. Online casinos also entice players to join with some sweet welcome bonuses, giving you extra money to play with, which is something a land-based keno venue would never dream of. Choose a Reliable Site – Not all online casinos are created equal. While there are plenty of reputable online casinos that are perfectly legitimate, there are also those that will try to cheat you at every turn. The last thing you want is to suffer through the frustration of winning a big cash prize and then being denied payment by the casino, which is why it’s super important to only play for real money at licensed and trustworthy venues. Keep Your Expectations Within Reason – When you play keno, you’ll end up losing a majority of the time. That may sound harsh, but it’s a simple product of mathematics. Despite this pessimistic fact, you can still have a great time if you keep your expectations within reason, with the potential to reap some financial rewards while enjoying keno for the recreational, fun game it’s intended to be. If you approach keno expecting to be transformed into the next Rupert Murdoch, however, you’re going to be in for a miserable gaming session. Bargain Hunting – The price of playing keno varies from casino to casino, so it’s always wise to look for the best bargains. For example, one online casino might charge a certain price for betting on eight numbers, while another might charge the same for nine. If you can get more numbers for the same price, you’d be foolish not to take advantage of this offer. Online casinos are always in competition with one another, so don’t hesitate to use this to your advantage. Take a look at the different keno games offered at our recommended casinos to find a game offers payouts that are right for you. While employing keno strategy won’t eliminate the random nature of this game, it should at least make the player feel as though they’re doing everything possible to win. The game can be maddening to play, but it does offer the allure of a life-changing payout for those fortunate to match several numbers. Test these keno strategies at Raging Bull Casino, our top-rated casino site for players from United States, which has some excellent welcome bonuses available for new players along with a great range of keno variants, online slots and other luck-based casino games.